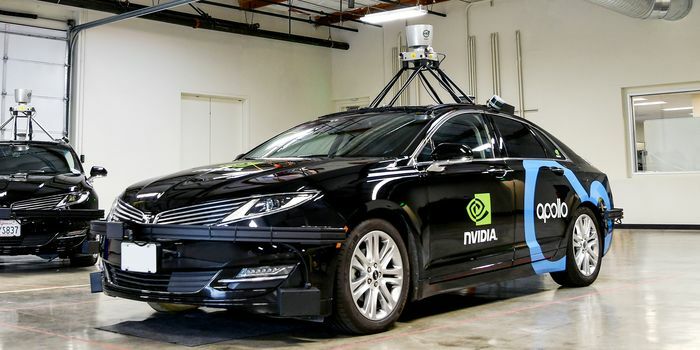 Nvidia, ZF and Baidu are creating a production-ready AI autonomous vehicle platform designed for China. At the opening press conference of CES 2018, Nvidia founder and CEO Jensen Huang said that the collaboration is based on the new Nvidia Drive Xavier, ZF’s new ProAI car computer and Baidu’s Apollo Pilot, an autonomous driving product targeted for mass production. Nvidia Drive Xavier, available this quarter, is capable of performing 30 deep learning TOPS (trillions of operations per second) using only 30 watts of power, according to the company. Germany-based automotive supplier ZF brings expertise for system integration of the car computer and the sensors. ZF’s Xavier-based ProAI will process inputs from multiple cameras, plus lidar and radar, paint a 360-degree view around the vehicle, locate it on an HD map, and find a safe path through traffic. Baidu’s Apollo open autonomous driving platform provides a solution that supports major features and functions of an autonomous vehicle. Apollo Pilot is an autonomous driving product targeted for mass production. This solution is created not only for Chinese automakers, but any vehicle maker planning to do business in China, and can scale from super Level 2 automated driving capabilities to Level 5 fully autonomous robotaxis, say the companies. Production vehicles utilizing AI self-driving technologies from Nvidia, ZF and Baidu are expected on the roads of China starting in 2020. China makes up 30 percent of the global passenger vehicle market.